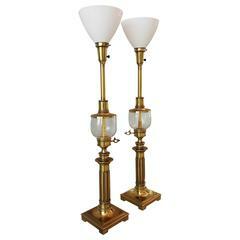 Mid-Century Modern pair of Stiffel table lamps in the style of Tommi Parzinger, in four-column-form, in gilt brass and white metal atop scrolling brass bases. The pair is in great vintage condition and has some minor age-appropriate wear. 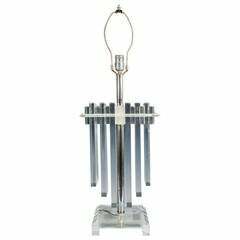 A vintage table lamp in chrome with alternating small and large layers of Lucite. Good vintage condition with age appropriate wear and patina. A little bit of rust around the chrome. 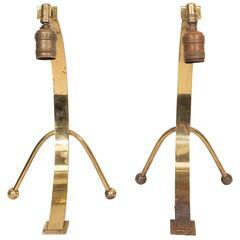 Brass table lamp by Stiffel. 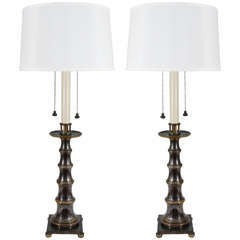 Retains original labeling and Stiffel shade. From the curated collection Space 20th Century Modern. 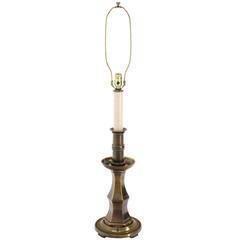 Midcentury marble and brass table lamp by Stiffel, labelled. 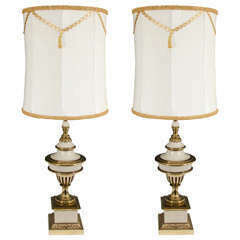 Complete with a custom black drum shade (11" x 9") with gold interior. 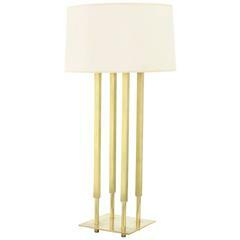 Very nice Mid-Century Modern solid brass Stiffel table lamp. Very nice Mid-Century Modern table lamp by Stiffel. 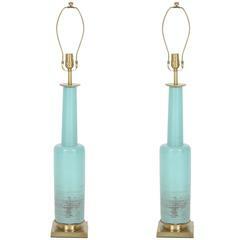 Seldom seen pair of Turquoise glazed ceramic lamps on satin brass bases. Lamps have been rewired with new sockets and cords.